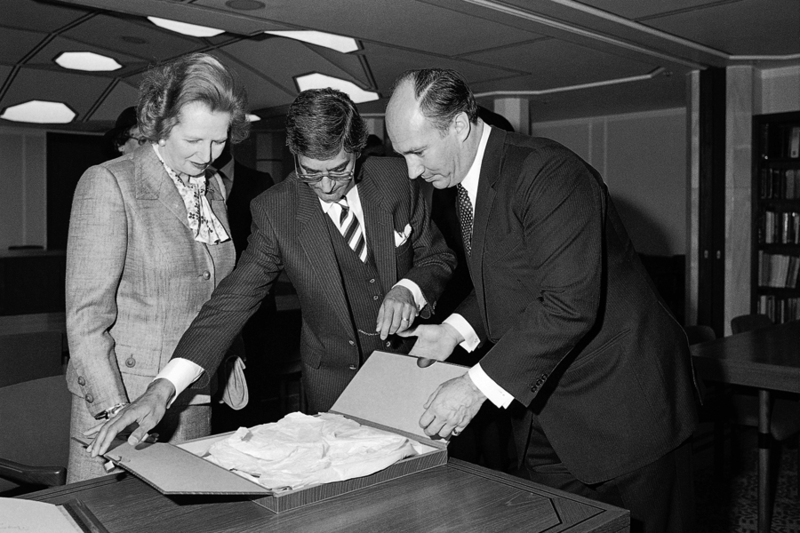 Mawlana Hazar Imam, Prime Minister Thatcher and Anil Ishani, President of the Ismaili Council for the United Kingdom, unpack a gift at the occasion of the opening of the Ismaili Centre, London. 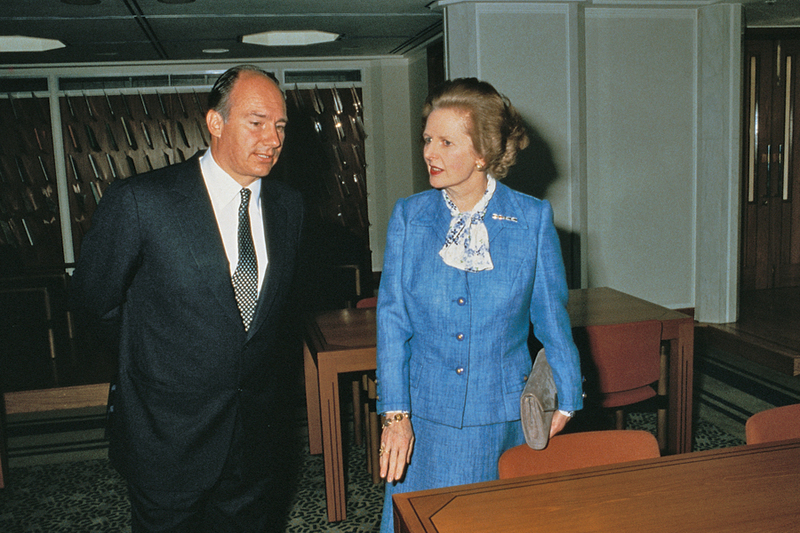 Mawlana Hazar Imam and Prime Minister Margaret Thatcher tour the library of the Ismaili Centre, London. 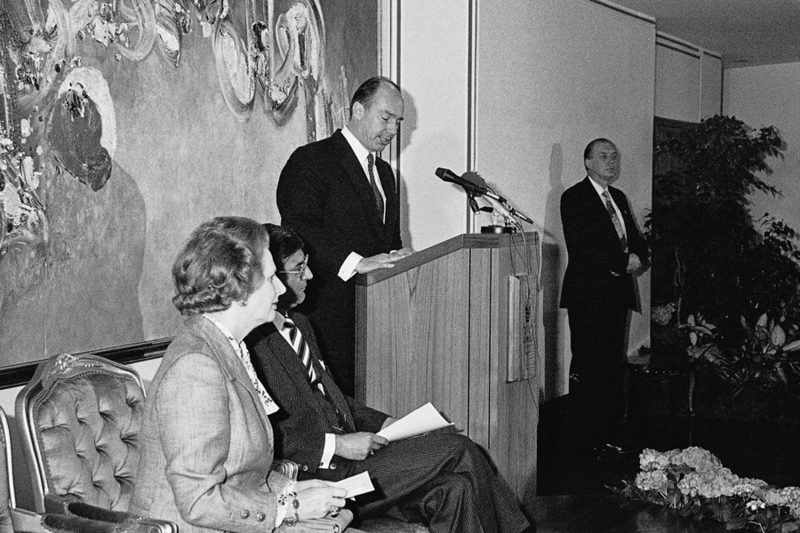 Mawlana Hazar Imam addresses the audience at the Opening Ceremony of the Ismaili Centre, London, as Prime Minister Margaret Thatcher and Ismaili Council President Anil Ishani look on. 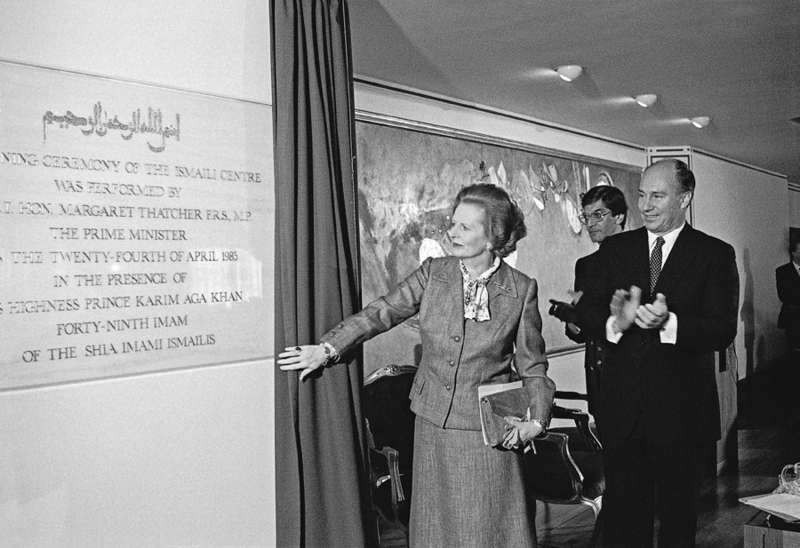 Prime Minister Margaret Thatcher officially opens the Ismaili Centre, London in the presence of Mawlana Hazar Imam.